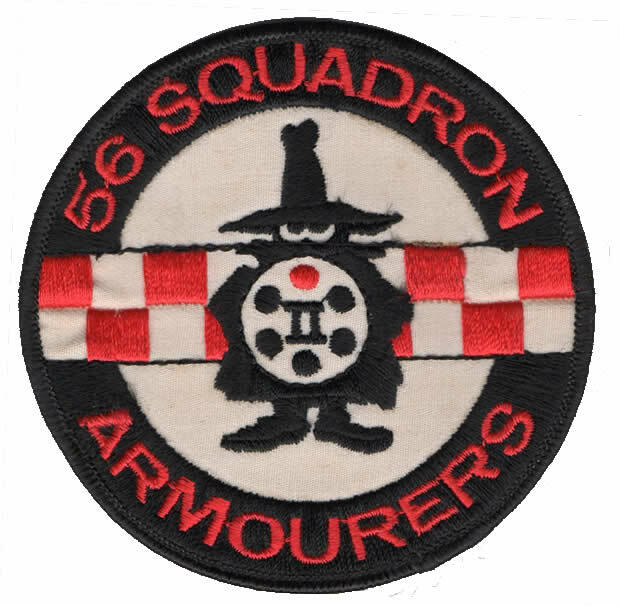 One of the most famous fighter squadrons of the Royal Flying Corps and early RAF, Number 56 Squadron was formed at Gosport on 8June 1916 and soon after set about introducing the new Sopwith SE5 fighter/scout into service. In April 1917, the unit moved to France. Several famous Royal Flying Corps pilots served with the Squadron; Captain Albert Ball was a founder member, but was killed in May 1917 and posthumously awarded the VC; Lieutenant APF Rhys David spent his short flying life with the Squadron and perhaps the most famous Royal Flying Corps pilot of the First World War, Captain James McCudden arrived with seven victories to his name. Six months later he left with a score of 57 and a VC! 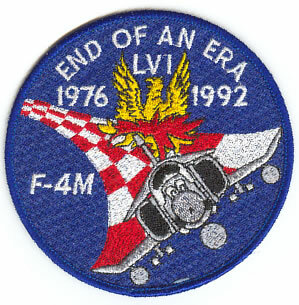 By the time the War ended, the Squadron had claimed 427 victories - all with SE5As. The post-war cutbacks saw the Squadron disband in January 1920, but eight days later it was reformed at Aboukir, Egypt this time equipped with Sopwith Snipes. 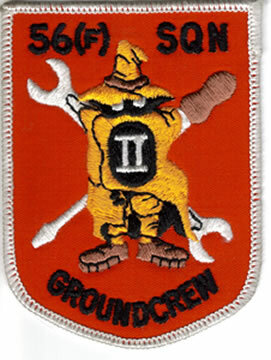 The unit was officially disbanded on 23 September 1922, but elements were hastily formed in a Flight and moved to Turkey during the Chanak crisis, remaining in-theatre until August 1923 under the control of No 208 Squadron at Constantinople. 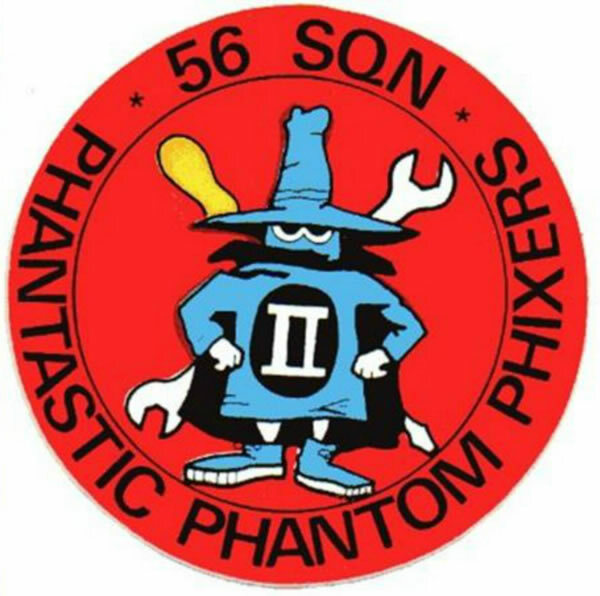 Somewhat confusingly, No 56 Squadron had reformed at Hawkinge in November 1922! 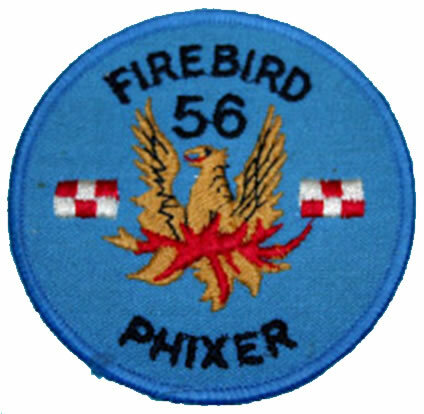 Between the Wars, the Squadron proper flew a succession of bi-plane fighters until, in May 1938, the Hurricane arrived. It was with this aircraft that the Squadron fought in the Battle of France, provided air cover for the Dunkirk evacuation and flew for the entire period of the Battle of Britain in the south of England before replacing them with Typhoon ground-attack aircraft in September 1941. 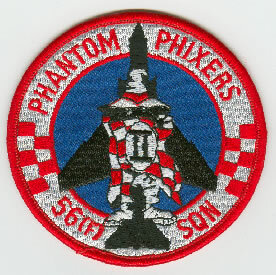 The full potential of the aircraft was not realised until fighter-bomber operations started in November 1943. 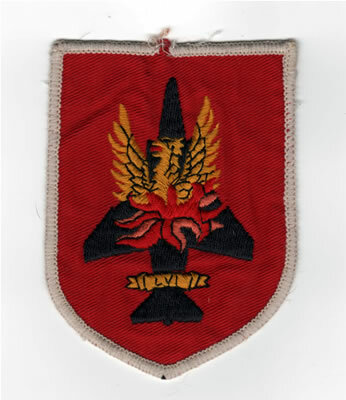 Summer 1944 saw the Squadron convert to Tempests and the unit concentrated on anti-V1 ('flying bomb') patrols before moving to France in September. 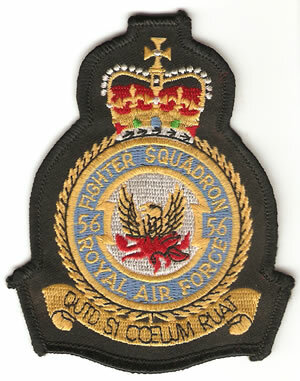 No 56 remained in Germany until it was renumbered No 16 Squadron in March 1946, reforming the next day at Bentwaters with the renumbering of No 124 Squadron. The following eight years were spent flying a variety of Meteor jet fighters until, in 1954 the ill-fated Supermarine Swift replaced them. Hunters arrived in May 1955, and these served until 1961 when the first Lightning twin-engined interceptors began to arrive. During the mid-1960s, the Squadron was chosen as Fighter Command's official demonstration team, and nine Lightning aircraft were often seen around the country performing at airshows and deafening the crowd! 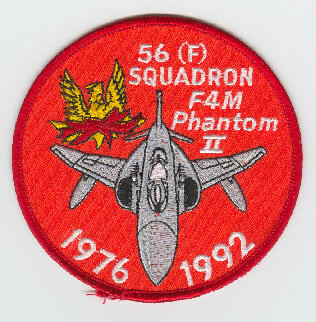 Following a four year stay in Cyprus, the Squadron converted to Phantoms in 1976 finally retiring the last of these in 1992 when the Squadron number was assigned as the Reserve Squadron identity for the Tornado F3 Operational Conversion Unit at Coningsby. 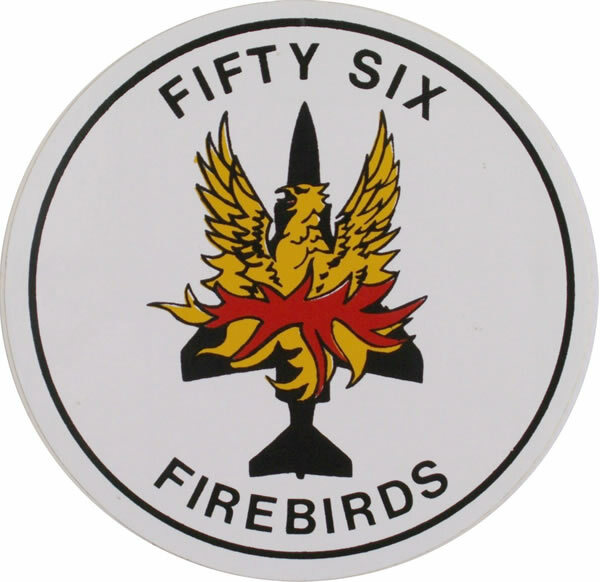 At the end of March 2003, No 56 moved to RAF Leuchars in Fife to allow the airfield to be readied for Eurofighter Typhoon operations. 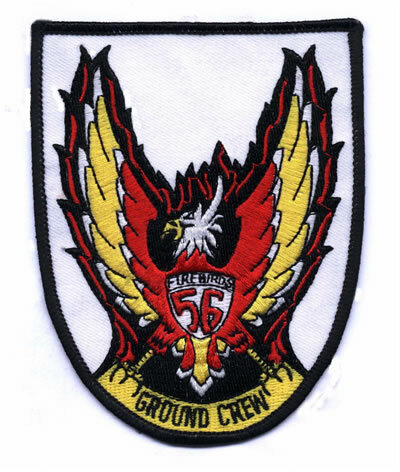 On 18 April 2008 No 56(R) Sqn disbanded as the F3 OCU. 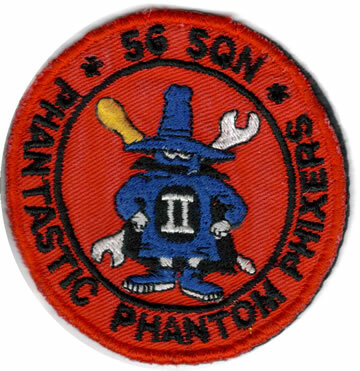 At the disbandment parade the number plate was passed to the Air C2 ISR Test and Evaluation Squadron based at RAF Waddington. 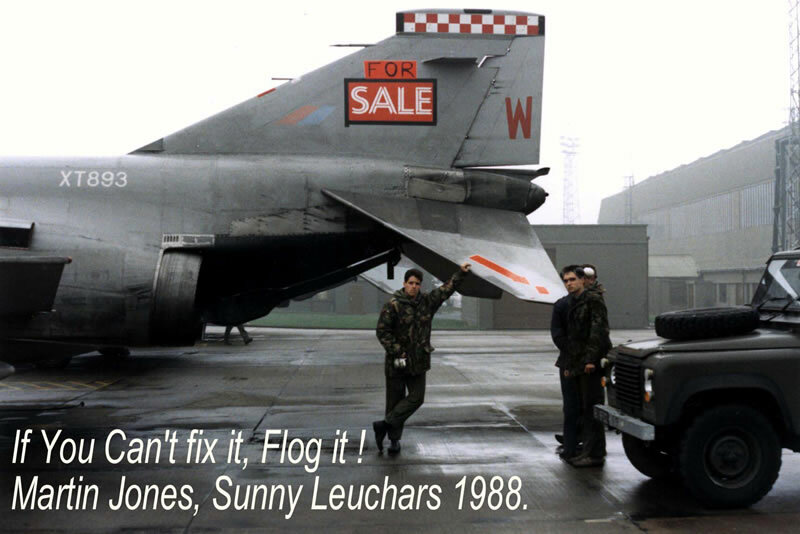 If you look closely above the Q Sheds, you'll see a 56 (F) Sqn Phantom flown by F/l Rick Offord and S/L Colley after the final Phantom APC mission. 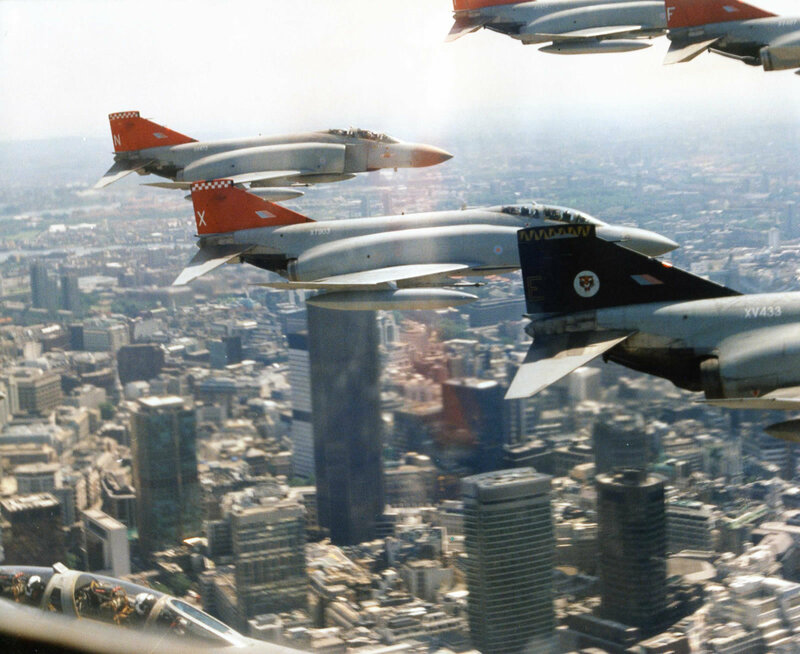 An airborne shot of the 56 / 7f Sqn Flypast over London in 1992 - notice the Snoopy in the FCP of the bottom left jet! 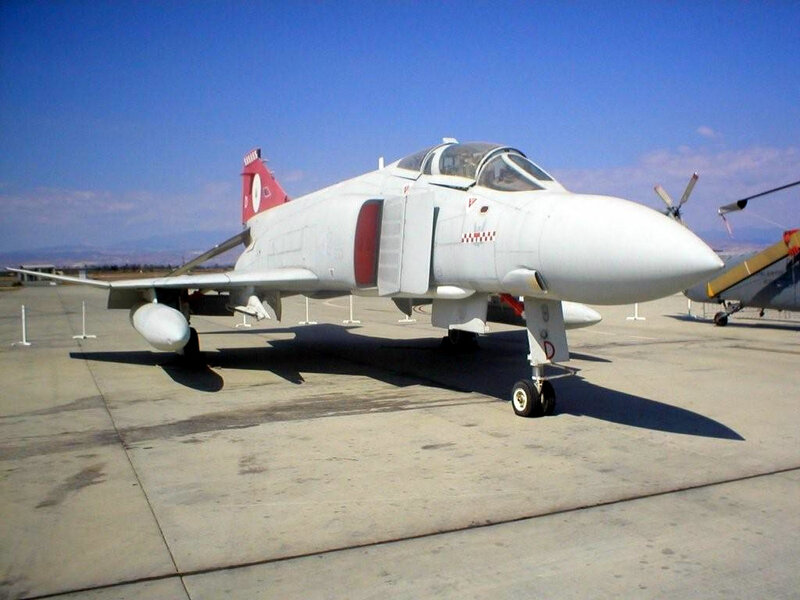 XV470, 56(F) Sqns "D". 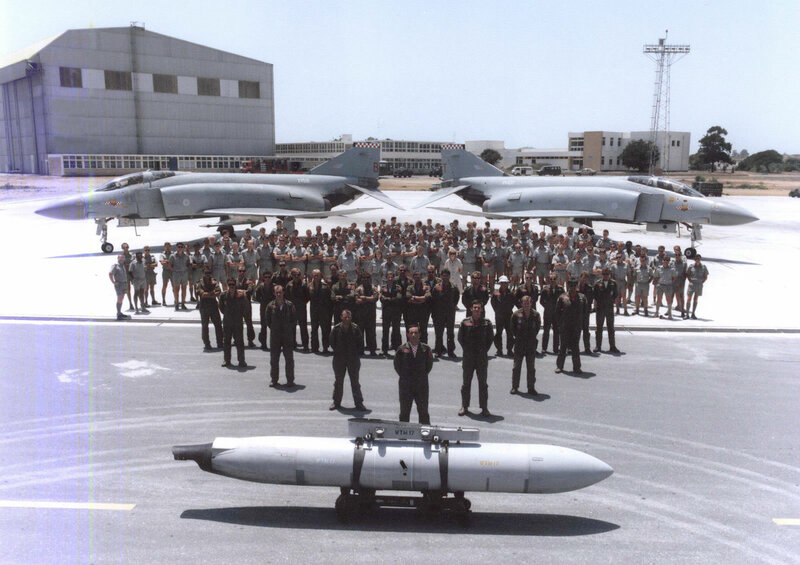 The photo was taken around 2006/7 in Akrotiri, Delta's last resting place as an ABDR aircraft. 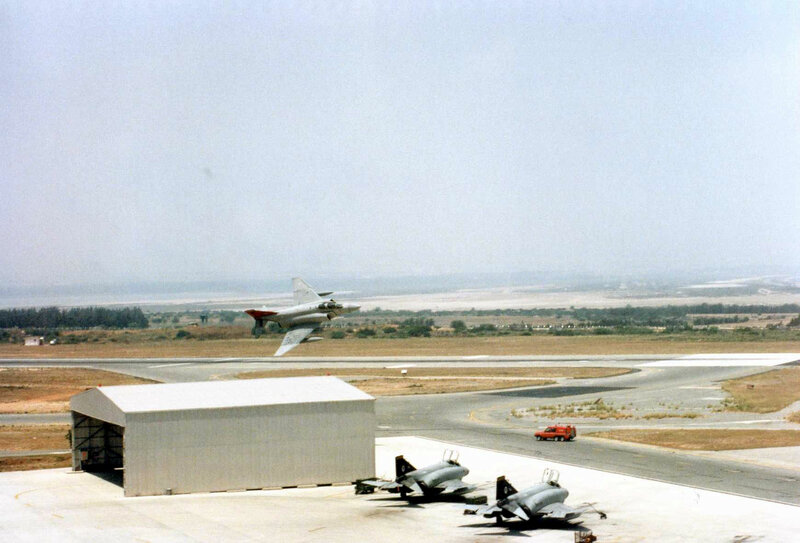 It's BBQ / Beercall in Akrotiri in Nov 1986. Norman Dewar/Steve Middleton / Swilly/Kev Jefcoate/Dan/Tim/ Virg/Walley/Oz/John and Ali McKay in the background. 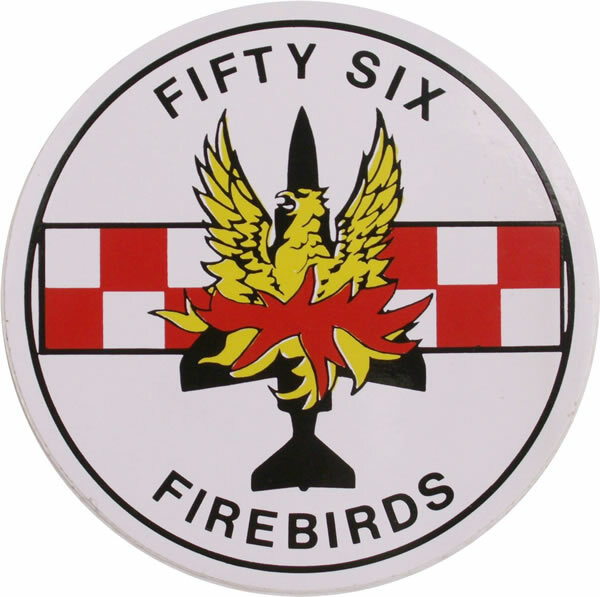 A picture of 56(F) Sqn out in Cyprus (Date?). 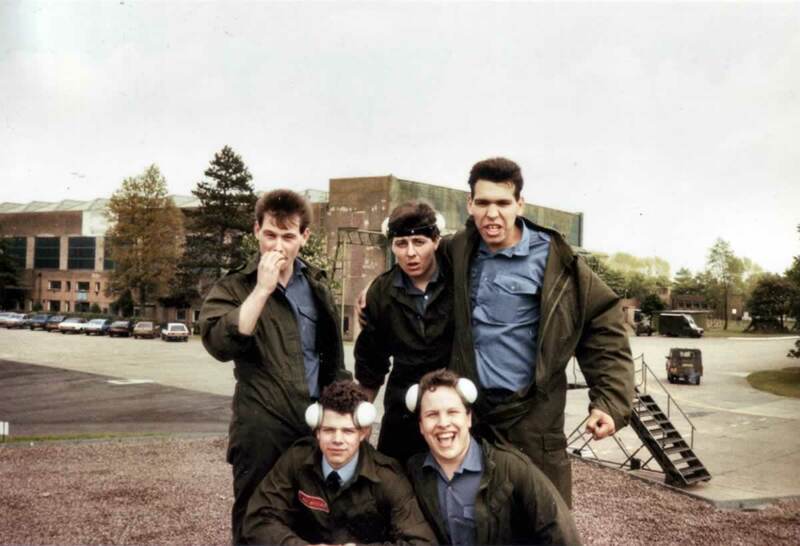 On top of the 56 Line Hut, Wattisham 1986. It does what it says on the fin!